It's not advisable to cut open pineapples at the grocery store or farmers market and bite into them to determine if they're ripe, sweet, tangy, juicy and thoroughly pleasing to your palate. Fortunately, there are more socially acceptable, less theft-like ways to select a ripe pineapple. And you do want to pick out a ripe pineapple at the time of purchase because this fruit doesn't continue to ripen or get any sweeter after it's off the tree. They do, however, get softer over time. Don't buy an unripe pineapple planning to patiently wait around for it to peak. For this reason, the pros who harvest pineapples are generally careful to wait until pineapples reach peak sweetness. Many even test the sugar levels before harvesting. 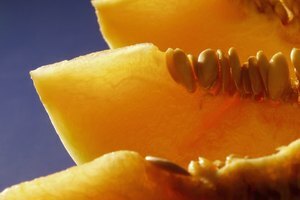 So, most pineapples sold by reputable vendors are not unripe; fruit that is past its prime and starting to go bad is more of a concern. First, the bottom of the pineapple should smell fragrant and subtly sweet. If you can't detect any (or much) scent, you have an unripe fruit. If it smells vaguely vinegary, fermented or otherwise unpleasant, it's starting to go bad. Second, the fruit should be firm, but give just a little when you press on it. If it's rock-solid, it didn't ripen before it was harvested. If, on the other hand, it's notably pliable or soft, it's beginning to rot. 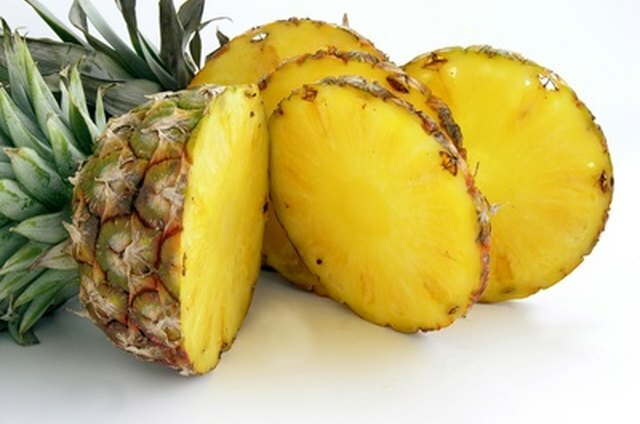 Pineapple yellow color: The most widely believed is that a ripe pineapple must be yellow on the outside. While some ripe pineapples have a yellow rind, they can also be ripe while the exterior is still green. The outside changes from green to yellow, and then it becomes an increasingly darker orange color. Once a pineapple starts turning orange or brown, it's past its peak and should be passed over. 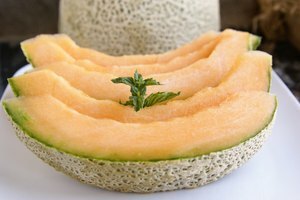 With that said, while the taste is exactly the same in a ripe green or yellow pineapple, the texture is slightly different. Pineapple flesh is softer once its rind turns yellow. So, if you buy a green one, you could wait for it to start turning yellow if you prefer softer fruit. 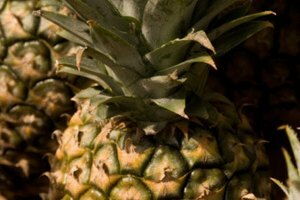 Loose leaves: Another mistaken belief is that the leaves at the top of a ripe pineapple can be pulled out with a slight tug, offering minimal resistance. This isn't a reliable way to determine ripeness, though. And if the leaves are just falling out, the pineapple is past its prime. Inspect the fruit for damage, rot and mold. Poke around for soft spots, which indicate bruising or rotting. Pineapples should appear generally fresh and healthy. The leaves on the crown should look green, fresh and vibrant; avoid fruit with browning or wilting leaves. Choose larger pineapples, which have more edible fruit inside (but size isn't an indicator of maturity or sweetness). In tropical climates, pineapples naturally grow all year long, so don't worry about buying them in season. Pineapples are fine for two or three days at room temperature. You can extend their life by up to a few days by keeping them in the refrigerator. 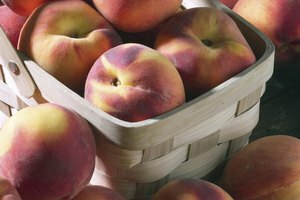 Once they start turning orange or brown, they're going bad, will no longer taste good, and should be thrown out. Cut pineapple should be stored in a container in the fridge. Once the flesh is exposed to the air, it will gradually turn brown. It doesn't look very appealing, but it's still fine to eat. You can temporarily stave off this browning process by squirting some lemon juice or orange juice on the cut pineapple.